What is organizational change and how it can be brought about?Organizational Change integrates major empirical, theoretical, and conceptual approaches to implementers′ and other stakeholders′ strategic communication during change. 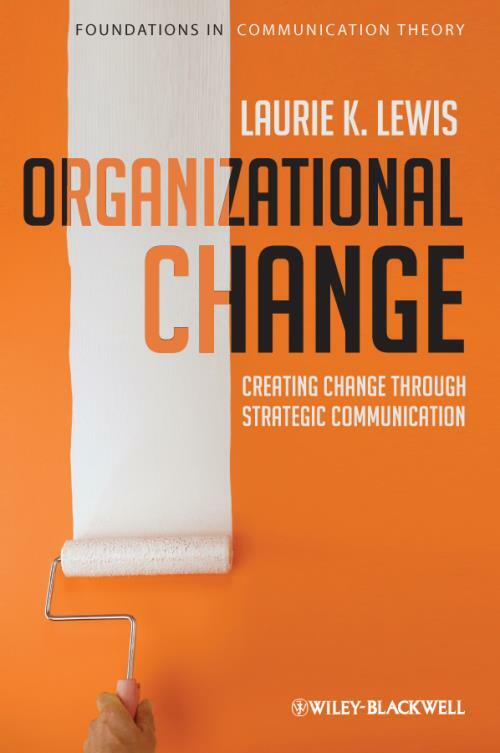 Laurie Lewis ties together disparate literatures in management, education, organizational sociology, and communication to explore how the practices and processes of communication work in real–world cases of change implementation. Written for both undergraduate and graduate students, the book fills in an important piece of the applied communication puzzle as it relates to organizations. In addition to giving a bold and comprehensive overview of communication research and ideas on change and those who bring it about, each chapter is illustrated with student–friendly, real–life case studies including organizational mergers, governmental/nonprofit policy and procedural implementation, and technological innovation. 2 Processes of Communication During Change. 3 A Stakeholder Communication Model of Change. 4 Outcomes of Change Processes. 5 Communication Approaches and Strategies. 7 Antecedents to Strategies, Assessments, and Interactions. 8 Stakeholder Interactions: Storying and Framing. 9 Applying the Model in Practice.